Ron Moore's Daily Devotion - Is Death Your Shepherd? For all can see that the wise die, that the foolish and the senseless also perish, leaving their wealth to others. Their tombs will remain their houses forever, their dwellings for endless generations, though they had named lands after themselves. People, despite their wealth, do not endure; they are like the beasts that perish. This is the fate of those who trust in themselves, and of their followers, who approve their sayings. They are like sheep and are destined to die; death will be their shepherd (but the upright will prevail over them in the morning). Their forms will decay in the grave, far from their princely mansions. 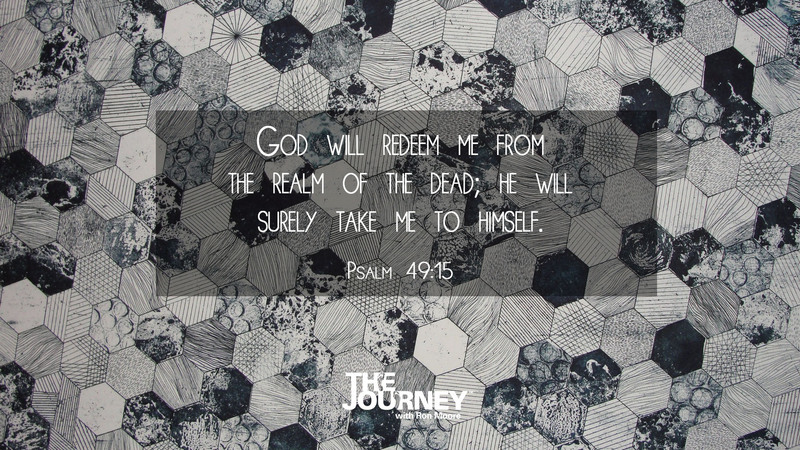 But God will redeem me from the realm of the dead; he will surely take me to himself. Death is the great equalizer. The poor who lived their lives in homeless shelters and the rich who lived in mansions will both meet the same end. The person no one knew and the one who had lands named after them will both end up in a grave for their final resting places. Eternal death is the “fate of those who trust in themselves.” Regardless of their earthly wisdom or wealth they will end up as fools. Death “will be their shepherd.” It will lead them like dumb sheep to an eternity without God. For those who claim the Lord as their Shepherd, everything changes. When we trust in Jesus, instead of ourselves, we will be redeemed from the grave. Jesus died so that we can live. When we close our eyes in death we will pass from death to eternal life. If you desire God to take you to Himself when you die, use the following prayer as your personal guide. Heavenly Father, I want You, not death, to be my shepherd. I do not want to be led foolishly to the grave. I want to be led to an eternity with You. I trust in Jesus alone as the One who came to pay my debt and redeem me from the realm of the dead. Through Jesus, I trust in You to take me to Yourself when I die. In Jesus’ name. Amen.